With porcelain shores, perfect seas and swaying palms aplenty, the allure of a classic beach break is hard to ignore. Over the years we’ve built-up quite a repertoire of blissful beach escapes, but we can never seem to scratch this itch. That’s why we’re forever growing our bucket-list of seaside escapes, handpicking the world’s best beachfront boltholes and most idyllic stretches of coastline to offer you…Prepare yourself for a serious bout of wanderlust and take a look at our luxury beach trips. Allow us to take you from top to bottom staying in some of New Zealand’s finest hotels whilst enjoying the countries most unique adventures – then, as if that wasn’t enough, we’ll whisk you off to tropical Fiji for a completely different perspective on ‘island life’. Packing in fascinating culture, endangered wildlife and a postcard-perfect island getaway, Rwanda and Zanzibar are our very own match made in heaven. Spend 11 nights ticking off one-of-a-kind experiences before relaxing on pristine beaches with no-one else in sight. Take a step back and ease yourself into the laid-back luxury vibe of the Caribbean as you hop from the beachside seclusion of Mustique to the private paradise of Petit St Vincent and onto the iconic glamor of Barbados in one chic retreat. Flit between cobalt blue waters and dramatic rocky coastlines on three of our favorite Greek isles: Santorini, Folegandros and Sifnos. Luxurious hotels, endless beaches and a spot of history amid ancient civilisations, it's our triple threat. For stunning beaches with a cultural twist, you can't beat the dreamy combo of Sri Lanka and the Maldives. Tea plantations, colonial history and ancient sites all washed down with a spot of snorkelling in crystal clear waters; what's not to like? South East Asia has always been a beguiling place. Sweltering afternoons baking in the sun, the heady scent of exotic spices and local cuisine drifting through the narrow alleys of historic cities, the deep sense of culture and heritage. Explore all this and more in Vietnam and Cambodia. If you’re looking to make the most of your precious time off, Croatia is the place to set your sights on. Beckoned by the glittering waters of the Adriatic and the charming islands dotted amid its waters, it has become our go-to when it comes to a dose of sunshine away from the crowds. See the beauty of the South of France with your own eyes as we take you on a 10-day luxury trip vineyard visiting, VIP wine tasting, picnic lunching and boat bronzing on our exclusive yacht, all the while staying in the most luxurious hotels France has to offer. 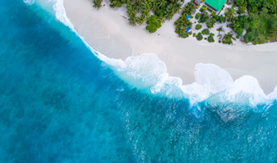 From the culture and natural wonders of California to pure island bliss in French Polynesia, escape the buzz of San Francisco to hole up on a tiny islet where bright underwater life, lavish spa treatments and high-class service are the norm. Learn to tango in Buenos Aires, sip Malbec and craft empanadas in Mendoza before living out your gaucho dreams on an Estancia and adding a touch of glamor on the beaches of Jose Ignacio. Argentina and Uruguay are a match made in heaven. The Indonesian archipelago boasts over 17,000 islands but where do you start? From the temples of Java to the beaches of Lombok and the rice paddies of Bali, we'll show you the way on this indulgent island hopping adventure. Experience East Africa’s charm, incredible landscapes and startling wildlife on our all-encompassing vacation to Northern Tanzania and Zanzibar. Once you’ve had your fill of fireside sundowners, bush breakfast and starlit dinners, you’ll live out your wildest castaway dreams on your very own private island in the middle of the Indian Ocean. One day you’ll be trawling vibrant local craft markets with local artisans of Antigua, the next you’ll be kayaking across volcano-lined lakes in this journey of Central American discovery. From shamanic blessings to private sunset boat rides to hidden temples, you’ll get to know Guatemala and Belize inside out. Not all beaches were made for lounging. These trips offer something just a little different from the rest, an opportunity to combine the best of the what beaches have to offer, with a few Black Tomato delights thrown in.